Last call for alcohol. Last call for a generously poured, properly chilled martini. Last call for late night thumb bits and divinely fried chicken. 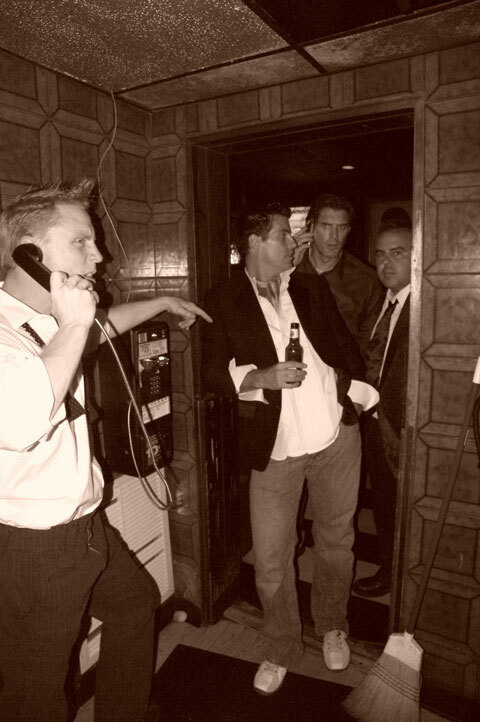 Last call for the darkest bar ever. 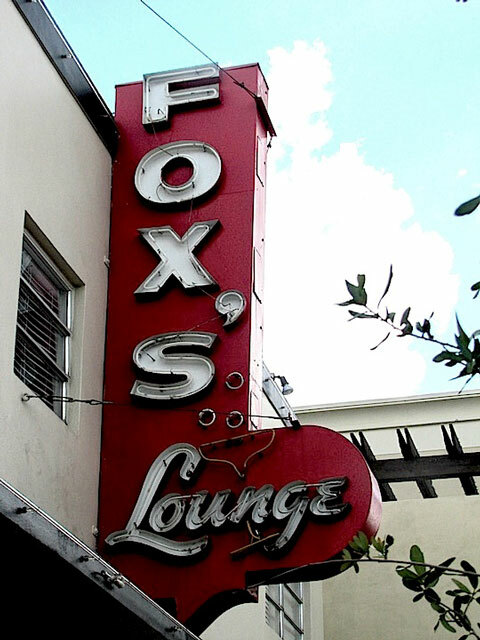 Fox’s, South Miami’s iconic watering hole is no more. The Fox has drawn his last breath. 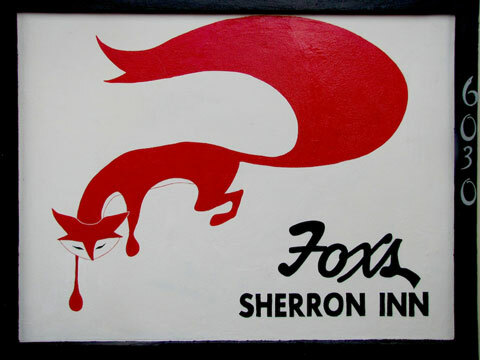 The neon sign proclaiming FOX’S Sherron Inn on US I in South Miami has gone out once and for all. After seven decades of good food and great memories the popular spot has a date with the wrecking ball. It all started with Hank and Betty Fox’s concept for an establishment that included a bar, a family-friendly dining room, and a liquor store all under one roof. The year was 1946 when the City of South Miami had about 2,761 residents. The wordplay on the Fox name was a good choice and never changed despite the two subsequent owners through the years. “Sherron” according to popular lore, was some sign-maker’s mistaken version of the name Sherrie, Mr. and Mrs. Fox’s granddaughter. George Andrews purchased the place in 1967 and René Dahdah purchased it in 2009. Mr. Dahdah owns the land on which Fox’s sits; he has plans to build something new on the site to be explored in the next issue of SOMI Magazine. The building, a basic “Art Moderne” boxlike, two-story affair has changed little over the years. Tales abound about the second floor, but the truth is that it provided living quarters for Mrs. Fox and recently, for Ricardo Gutiérrez, the location’s general manager. It was a good place for storage, too. We’ll leave it to others to speculate about assignations and ladies of dubious character. And that’s the thing about FOX’S. Sure, it has a history, but it was the kind of place that invited myth-making. In those early years just after the war, Fox’s was one of the few places to get a cocktail. 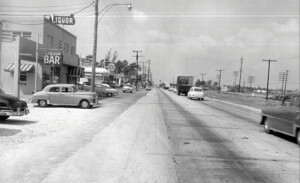 Tobacco Road in Miami, also recently defunct, was the oldest. Drinking and dining at the ever-popular FOX’S was something of a rite-of-passage for students, entertainers, professional sports stars, airline pilots, fishermen returning from the Keys, and just about anybody within walking and driving distance. Bebe Rebozo, Rep. Dante Fascell, Rep. Claude Pepper, Ray Liotta, Sylvester Stallone, Bill Murray, Matt Dillon, Dave Barry, Bob Griese, and Efrem Zimbalist, Jr. are among those who sampled some thumb bits at a table or tossed back the last of a Manhattan at the bar. 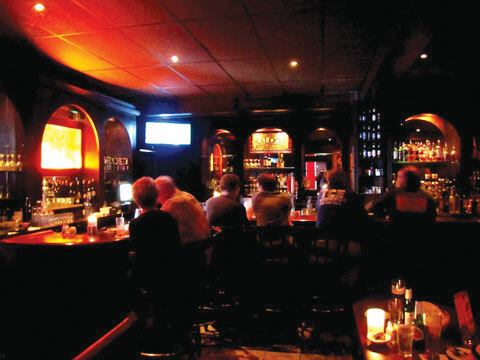 Arguably the world’s darkest bar, loyal patrons used to yell out at those holding the side door open: “Hey, close the door, you’re letting the dark out!” Some said it was best to enter with sunglasses on and then the transition to near total darkness would be a little easier. 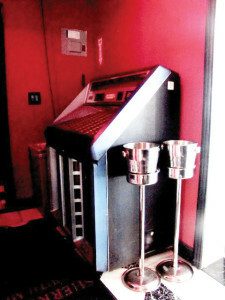 The jukebox was a draw and remained the source of house music. A stash of old 45s ranging from the Platters to Johnny Mathis, with plenty of ballads by Old Blue Eyes made up a lot of the playlist. Like the jukebox, much of what patrons grew attached to over the years were still there: the red, black and white color scheme, oak bar stools, overstuffed red vinyl booths in the bar, and the artwork. 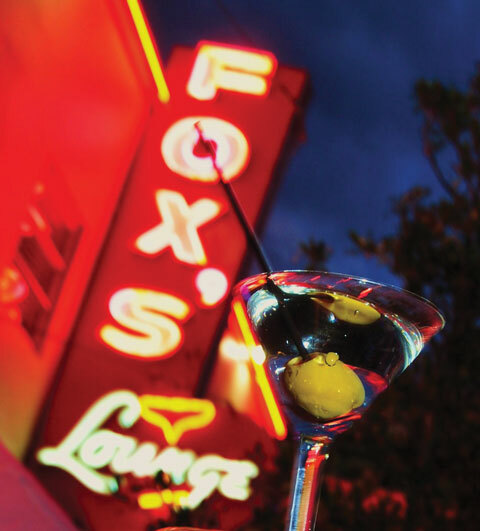 Mrs. Fox’s iconic red fox with one eye winking graced the front door and the bar. 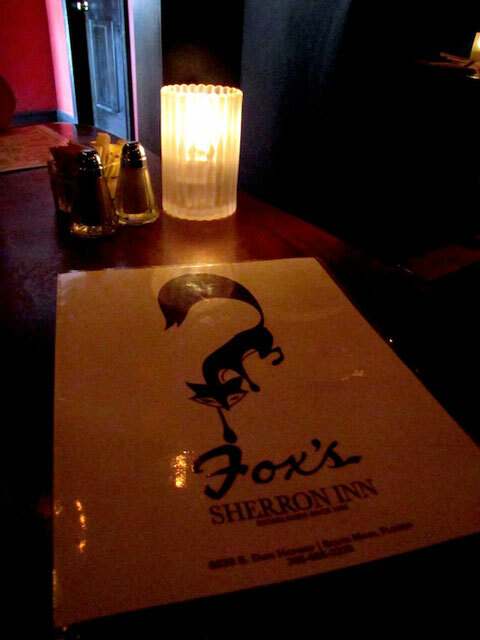 The large fox painting on board was always hanging behind the bar until recently. And the much-debated airplane painting (is it arriving or departing?) was on the wall, as was the fantasy painting of Fox’s on a street in Paris as imagined by a loyal customer. One look at that photo of FOX’S from 1955 and you’ll know how long this sly fox managed to evade the trap of change. Seventy years. The little guy has had a better run than most. 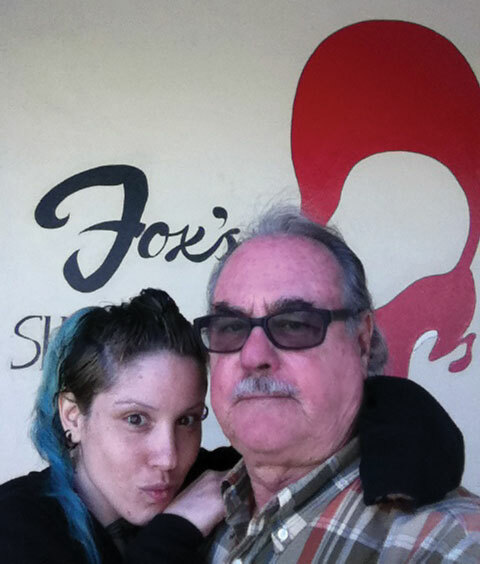 A couple of weeks ago, on the day before my daughter left for graduate school at NYU, we shared a lunch together at FOX’S. “Dad, we just have to go to FOX’S. OMG, they’re closing! Really? !” It was to be her last. I’ve been back for more good-byes since. When I moved to Miami in 1967 to assume a teaching position at Christopher Columbus H.S., FOX’S was among one of the first places I went with friends and parents of students. Years passed by quickly and FOX’S was always on the radar for a great place to go and hang out (even alone sometimes). Fast forward some twenty-five years, and my daughter Ashley was hanging out on Tuesday nights at FOX’S with a decidedly gothic group. It was funny to hear her say: “they make great martinis.” My how you’ve grown up! And of course, we took a “selfie” right out front…. Fond memories, years apart, and now together. last few dollars we had. Everyone looked at me, not believing what had happened. a hamburger and birch beer. The previous two owners never wanted to invest to keep Fox’s looking nice. A facade upgrade 5 years ago was just a stay of execution. The previous family never wanted to fix the place up properly. Cheap repairs were done just to keep going and taking your money. The current owner knew he was going to tear it down from the minute the ink dried on his closing papers. 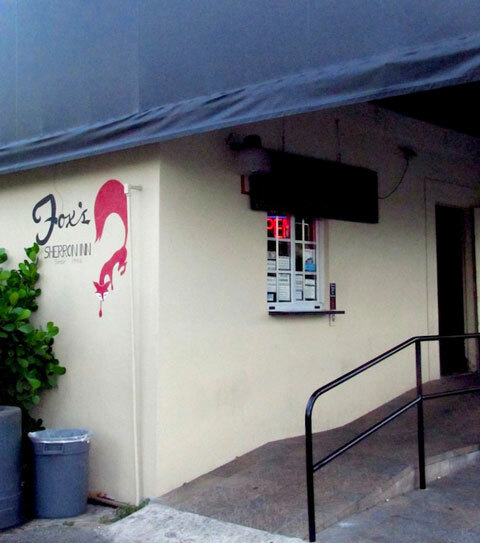 Fox’s was a nostalgic place, a Miami institution, a place that took you back in time. But it was an orphan, the owners never wanted to love it like the customers. That is the truth, they neglected it so much that it was rotted to the core, and not just recently. It has been neglected for over 40 years, so goodbye to a tired friend, Fox’s, sorry you were so abused, you deserved so much more because you always gave and gave but your parents never loved you. Dark and Divey Fox’s Lounge was always clandestine divine, delivering scrumptious cuisine and an unparalleled ambiance. The city’s best kept secret had it all… neon signs, booth seats, candle light, and an oldies jukebox. Who could ask for more? My first memory was back in high school of the package window outback that sold cups, ice, and liquor to go, and was always open late. 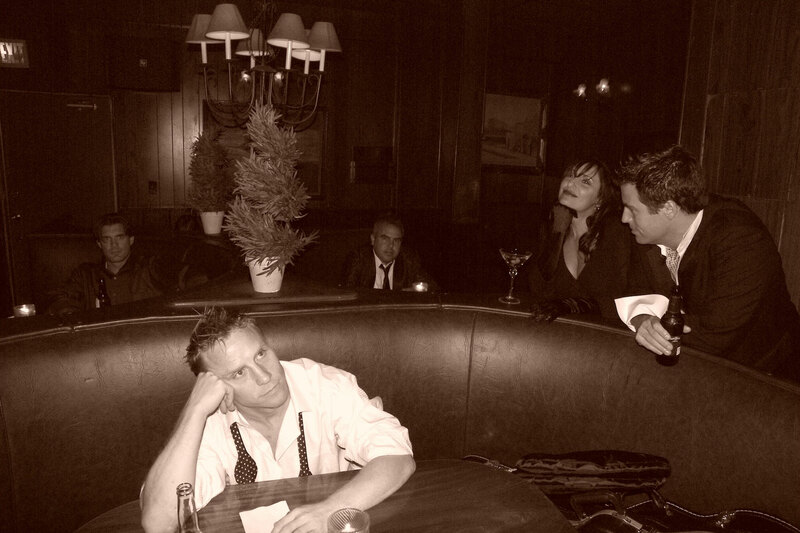 Definitely dark and seedy, but the epitome of classic and cool. Amazing food and service added to the atmospheric decor. This watering hole was beyond retro fun and took you back to a simpler time. Even the renovations, by new owners, could not take away from it’s history and character. It always took your eyes a few minutes to adjust to the purposely dimly lit main lounge, but you could find yourself ordering a martini to the best of Frank Sinatra, drowning your heartache with a sidecar listening to Roberta Flack, or nursing a hangover with a Bloody Mary and some Patsy Cline. This famous Miami staple was the perfect place for a table for one, the place to take out of town guests, celebrate with a romantic and cozy dinner for two, or have fun with a group of friends or colleagues. 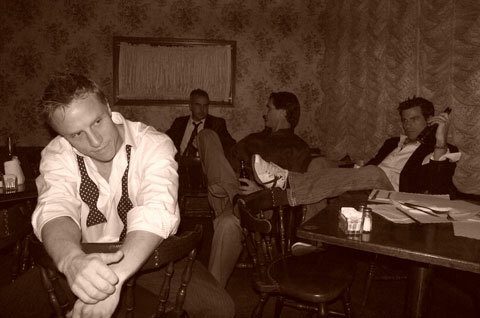 Years ago, I was lucky enough to do a photo shoot of now defunct Miami local band Casing Finley against the original decor. I will always treasure those shots, especially at a time when so many of Miami’s classic landmarks are being sold and torn down to make way for who knows what. Whether it be Fox’s, Tabacco Road, Scotty’s Landing, or any other of the numerous establishments succumbing to the trend, I really wish we could preserve more of Miami’s history instead of it always being about the money and bigger business. I come over from Naples to visit family. I remember being there, but it’s hard to describe. It was dark…the ambiance was like one of those new restaurants where you eat in the dark on purpose as a new, hip experience. So Fox’s had it right all along. Too bad they’re closing just when the concept is starting to trend!